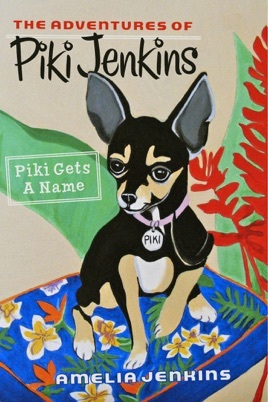 "The Adventures of Piki Jenkins" is the first of a series of children's books based on the real-life dog of the author. Set in the land of Aloha, the book tells of a little dog that no one wanted and how she found a home and a name. The book includes many colorful paintings of native plants and flowers and will capture the attention of young readers. This book was really good. We liked the part when Piki got her name. We also liked when we had to guess what was missing. We think that kids in preschool to 3rd grade will really enjoy this book. We highly recommend this story to other kids.